Elizabeth-Jane McGuire is a visiting assistant professor in the Augustine and Culture Seminar Program at Villanova University where she teaches interdisciplinary humanities in Villanova’s Great Books first-year seminars. She holds a Ph.D. in Christian Spirituality from The Catholic University of America and a M.Mus. in Sacred Music from Duquesne University. Dr. McGuire’s research interests include the spirituality of music, Franciscan spirituality, and sacred music in history and practice. She recommends listening to Vaughan Williams, Songs of Travel, with Roderick Williams and Iaian Burnside, The English Song Series 14 (Naxos, 2005). For British composer Ralph Vaughan Williams (1872-1958), spirituality was a contemplative aspect of life most easily accessed through aesthetics. Vaughan Williams’s perception of the transcendent was intimately connected to perception of the beautiful. Religious language and affiliation were unimportant to him. Instead, he accessed the transcendent through the beauty inherent in the music to which he listened as well as in the music that he composed. In this way, Vaughan Williams separated himself from the Christian way of life that was woven into the fabric of English culture of his time. He took his Christian upbringing for granted as he carved out his own interpretation of what lies beyond this earthly realm. Two traditionally Christian spiritual themes are evident throughout his works: journeying and the experience of beauty. These two themes can be found particularly throughout his song cycle, Songs of Travel. After acquainting the reader with a brief overview of Vaughan Williams’s spiritual journey—his transformation from a convicted atheist to a man with much more nuanced perceptions of the transcendent—this article will present a listener’s guide to the spiritual insights contained within this series of pieces. When Vaughan Williams enrolled at Trinity College of Cambridge University to read History and Music in 1892, he discovered that atheism actually seemed to be approved of and even promoted in some social circles. He was briefly associated with the most famous of these, the secret society known as the “Cambridge Apostles,” a club to which Bertrand Russell and G. E. Moore had also belonged. Considering his peers, it is no surprise that Vaughan Williams’s burgeoning atheism seems to have manifested itself fully while he was at Trinity.5 Bertrand Russell himself recalled Vaughan Williams as a “most determined atheist” who once walked into the Hall at the College exclaiming, “Who believes in God nowadays, I should like to know?”6 Chapel attendance at Cambridge was mandatory, but Vaughan Williams began missing church services. When this was noted by one of the administrators, he was asked whether he had been in the organ loft since he was not in chapel that morning, and he replied that he had been. The man said, “Well, you can pray as well in the organ loft as in any other part of the Chapel.” Vaughan Williams responded, “Yes, Sir—but I didn’t.”7 He also had no difficulty going against the grain by working on Sundays. In 1898, he even wrote to his friend and fellow composer, Gustav Holst, that he ironically spent the Sabbath orchestrating a Mass for his doctoral exam at Cambridge.8 However, he didn’t skip chapel all of the time—indeed, he frequently went to morning services on Sundays in London with a manuscript notebook in hand to write down musical ideas heard there. Church was a place for him to be musically inspired, if nothing else. Despite this, his first job after graduation was as a church organist, which frustrated him because he often found that the music played in the churches in his day was unworthy of both good music and sound faith.9 After this short-lived employment, he worked on compiling and editing the new English Hymnal for the Anglican Church—less because he wanted to continue working for the church and more because he thought someone else would botch the job and put together an inferior hymnal.10 While the vast majority of the project consisted in collecting texts and tunes and deciding which ought to be included in the book, it provided him the opportunity to create new pairings of songs and texts either by utilizing existing ones or composing entirely new tunes himself. For example, he turned the popular folk tune, Dives and Lazarus, into the equally well-known hymn tune Kingsfold (I Heard the Voice of Jesus Say). In addition, he wrote the tunes Down Ampney (Come Down, O Love Divine) and Sine Nomine (For All the Saints) as original compositions to accompany texts that had no good settings already written for them. Overall, he wrote twenty hymn tunes for the English Hymnal, shaping the direction of sacred music in England for the next century. Throughout his career, he would continue to write occasional pieces for the Anglican Church, amounting to three anthems, four canticles, nine motets, one Evening Service, a set of Services, several examples of Anglican chant, and many hymn tunes over the course of his life.11 In fact, his compositions for the Anglican Church are often how many people today come to know the work of Vaughan Williams, even though in musical circles he is largely known as a symphonist. During his early years as a musician, Vaughan Williams was also working on compositions that reflected the influence that English folk music had on him, including the Songs of Travel. Songs such as these launched Vaughan Williams’s career as a composer, and established him as a fine setter of folk texts and poetry. They also showcase how enamored he was with the English countryside of his youth and how impacted he was by his homeland during his formational years as a man and a musician. At the outbreak of the First World War, Vaughan Williams joined the army. The war left him grieving over the loss of his close friend and fellow composer, the young George Butterworth, among many other talented young men of his acquaintance.12 In fact, the First World War appears to have been the beginning of Vaughan Williams’s personal transformation with regard to the spiritual life. With the profound experience of the loss of many of his friends to the war, he began to find solace less in the poetry of Walt Whitman and A. E. Housman, whose texts he loved to set, and more through Christian symbolism, particularly through images from Christian eschatology, which depict the final judgment at the end of the world. 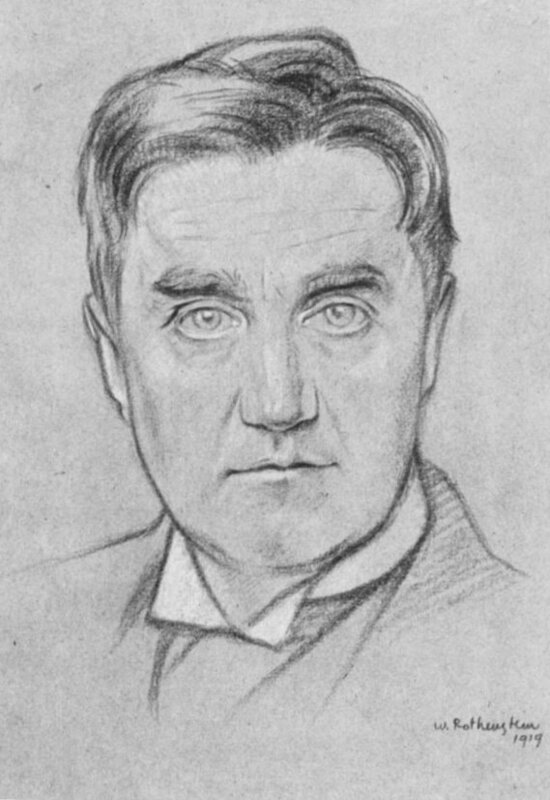 During the war, Vaughan Williams lost another generation of young friends and talented composers both to the army and to the bombings in London, yet many of his works from that period, such as Valiant for Truth, the song he composed to laud the successful end to the war, indicate that, far from being disillusioned, he still held out hope for the future and searched for meaning in the face of such devastating losses. In 1956, Vaughan Williams wrote in a letter, “If anything in my life—music included—has enabled anyone to have a fuller enjoyment of life—then I feel I have not lived in vain.”15 The implication that music offered a gift that transcended time and humanity showed how he viewed beauty as a part of the spiritual. After having surgery for prostate cancer in August of 1957, a procedure he kept from the public and even from his close friends, Ralph Vaughan Williams died in August of 1958 after experiencing a heart attack in his sleep. He was just shy of reaching his eighty-sixth birthday, but his successful career, in addition to the friendships he had cultivated through the years, left behind a rich legacy of a man committed to beauty, peace, and love. A man of natural virtue, Vaughan Williams was not guided by organized religion, although he lived a life that was largely selfless, just, and courageous. He was a patriot, a model friend, and generally a humble and simple man despite his privileged background and national fame. Even as an agnostic, Vaughan Williams sensed that music had the power to transmit the divine, both through the artist who received some kind of heavenly inspiration, and through music itself as a unique artistic medium. In a series of lectures he gave at Cornell and Bryn Mawr, published in the volume The Making of Music, his views on music and music-making reveal through his own words the connections he found between music and the spiritual realm. In his second essay, Vaughan Williams defined the muscial form of art: “Music is reaching out to the ultimate realities by means of ordered sound.”16 His definition incorporated “ultimate realities” as an intrinsic aspect of what music was for him in its essence. From his personal experience of this transcendence, he listened to the beginning of Schubert’s Symphony No. 9 (“Great” C Major). The opening bars were, as he said, “played on a real horn, and all the world beyond the world seemed open to me.”17 Music was, to Vaughan Williams, how many human beings attempt to communicate with the transcendent by means of organized sounds, as well as how the transcendent makes itself apparent to human persons. While he was careful not to specify what this “world beyond” was, his experience with music seems to have opened him to the possibility of such a world existing. In a brief article he wrote on Bach and Schumann for The Vocalistin 1902, he said, “There is a truer and deeper romance than that of the heart, which deals, not with external events, but with the minds and souls of human beings.”18 This, he felt, was the connection that music made in the hearts of people, opening them up to each other and to the world beyond. Turning to the Songs of Travel, we see that Vaughan Williams centered this cycle around two of his favorite themes: the role of the journey and the role of beauty, which also happen to be images regularly used in Christian spiritual texts. Vaughan Williams composed settings to nine of Robert Louis Stevenson’s poems that all dealt, at least loosely, with these themes. This set of nine short pieces is called a song cycle, which is a grouping of poems with a common theme all by the same author and set to music by a composer. They are meant to be listened to as a whole, much in the way records are—or at least used to be—recorded: to tell a whole story, or to present a narrative arc. The theme of journeying is a common one in literature. Typically there are three stages in these narratives. First, the hero must be separated from the normal way of life, which usually involves being called into a new kind of existence. To prepare for this, the hero is often guided by a mentor or guardian figure. The second stage is that of initiation or transformation In order to achieve the fullness of this stage, the hero must first overcome a number of obstacles and challenges, perhaps even falling into the abyss before managing to get back on the right path. Lastly, the protagonist returns home in order to bring back the knowledge learned along the way, or to share what has been gained. All of these are necessary for the full development of a literary hero undertaking a journey. From ancient works such as the Odyssey, to biblical stories such as that of Joseph in the Hebrew Bible, to medieval legends such as the quest for the Holy Grail, to more modern takes on the theme, such as Christopher Nolan’s Batman trilogy, journeys play a prominent role in the artistic expression of humanity’s purpose. This theme that is universally experienced as a part of human life appeals particularly to composers because the structure of beginning with a melodic theme, developing it—which symbolically connotes the overcoming of obstacles—and then returning to the original theme at a heightened level, as in a recapitulation, is innately part of creating beautiful pieces of music. Vaughan Williams frequently portrayed journeying as a transcendent experience in his music.19 This occurs in works both short and long. For example, in the Songs of Travel, he takes Stevenson’s words and creates a varied palette of moods, from light-hearted and carefree to reflective and morose.20 Likewise, in “The Vagabond’s Song,” written very early in his career, around 1900, journeying is a prominent theme. In the piece, the first in the song-cycle and one of the most popular, the title character, a quasi-ascetic wanderer of the roads, has renounced riches, women, and the esteem of men, and has taken to the highway, seeking to experience life as it comes to him with its pleasures and pains. He seeks to connect with both earth and spirit. “The Vagabond’s Song,” despite its relatively minor place in the canon of Vaughan Williams’s music, reflects several important characteristics necessary for undertaking a spiritual journey. First, one needs determination to begin. This sounds obvious and simple, but oftentimes strengthening one’s resolve can be the most difficult part of any journey. “The Vagabond’s Song” reflects Vaughan Williams’s firmness of purpose through the staccato C-minor chords that march in the basses, while a fanfare outlines the same C-minor chord in the treble. Marked risoluto, the song expresses the joy found in embracing one’s journey. Like the travelling mendicants of the Middle Ages, the vagabond gives up all that most people hold dear in order to pursue a life of journeying in a world where no place is home. The open skies and the physical path the vagabond follows open up horizons to him and give the wanderer natural opportunities to consider the spiritual path that is best for one’s soul. Such a deliberate lifestyle requires much discipline and perseverance to continue and eventually perfect. This is why purification of desire is often considered to be the first step along any spiritual journey, not only in Christianity, but in many other world religious traditions as well. Lastly, right attitude is one that all those on a spiritual quest require: the vagabond journeys with mind and heart in a state of openness. Constantly seeking the truth by being ready to experience the reality of every moment, this wanderer is made receptive to hearing God’s will. Such openness comes as a direct result of the vagabond’s initial willingness to embark upon a journey, whether physical or spiritual, and the wanderer’s commitment to staying the course regardless of the sacrifice. It is through these attitudes that the vagabond demonstrates the qualities of a person embarking on a spiritual journey. The judgment of whether an object is beautiful is commonly based upon its symmetry, harmony, and form. In addition to these criteria, there is often something ineffable that draws a person to an object, compelling viewers to seek it out, perhaps numerous times. This last characteristic moves past what can be designed through the work of human hands and into the realm of the transcendent. There is something about beauty that goes beyond what a human being could ever possibly imagine, and it is this trait that makes it so irresistible. The next two pieces in Songs of Travel highlight this theme of beauty. Vaughan Williams enjoyed beauty in all its forms, but particularly when he encountered it in music and nature. Vaughan Williams’s life experiences led him to create beautiful music of such uniqueness that it is often capable of channeling the highest truths. Through the beautiful, he was able to capture ethereal experiences in sound.21 Such is the case with Songs of Travel. In “Let beauty awake,” the soloist conveys the beauty of the natural world in the purest sense—the beauty of the morning and of the evening and how the world seems particularly blessed at both these liminal times. In “The roadside fire,” the poem depicts the happy home life of a couple very much in love; however, the images used to paint this picture of domestic bliss are actually those of nature. Their palace is the forest and the sea, and the laundry is done in rainfall and dew. Accompanied by playful, lilting arpeggiations, the piece provides a foil for the more meditative pieces that come before and after it. The next two pieces connect the themes of the journey and beauty with a common strand: renunciation. In both songs, the narrator reflects on the beauty of youth and the world, but finds that when taking on the life of a wayfarer, many of the pleasures of a stable existence need to be left behind. In the fourth piece, “Youth and love,” the journey of life is presented as an adventure with endless possibilities, exciting surprises, and unexpected beauties. The music, just as the poem, conveys a retrospective look at the positive aspects of adolescence, with a rocking chordal sequence that highlights the innocence of youth. In the second stanza, the quickening chords echo the opening sequence but with greater force, depicting the turbulence of moving from a world of possibility to an adult existence troubled with temptations and responsibilities. In hindsight, the narrator concedes that purpose in life has become nobler in adulthood, when youthful optimism must be left behind. The fifth piece opens in a minor key, when the focus shifts from the fond remembrances of childhood to “dreams unhappy.” Time has not softened the wanderer’s recollection of those once loved. In fact, the vagabond remembers only the lover’s tears when abandoned. Although fearing he has been long replaced, the wanderer’s lover is not so easily forgotten. Again, Vaughan Williams highlights the theme of renunciation. He acknowledges what one must give up in order to be a pilgrim on this earth. “The infinite shining heavens,” the sixth poem by Robert Louis Stevenson that Vaughan Williams sets to music, continues the pensive feel of the previous settings. Arpeggiated chords bring to life the twinkling stars the wanderer gazes at in the dead of night. While the vagabond finds the stars lifeless at first, the end of the poem brings the wayfarer a sense of closure and resolution to begin again, illustrated by the song’s final major chord. “Whither must I wander” continues this sense of decidedness, offering a more sanguine reflection on the narrator’s childhood house, now left uninhabited, but still containing all the happy memories of family and home. The vagabond can walk on and close that door without regret. In “Bright is the ring of words,” beauty is feted for lasting long after the poet and the musician die, bringing happiness and meaning to others for generations to come. The final piece in the cycle, “I have trod the upward and the downward slope,” begins with a recapitulation of the vagabond’s opening theme, a confident quasi-march. However, whereas the theme in the first piece is almost cocky in its self-assurance, the final piece of the cycle takes into account all that the traveler has been through, particularly the spiritual progress gained after a long jouney by foot. The vagabond has come to terms with the past and has finally left it behind—the good and the bad—in order to move toward transcendence. Thus, the musical accompaniment drops the opening theme midway through the piece, and turns to a more resolute, peaceful conclusion of chords moving upwards toward the stars and the new unknown. Having cleansed both heart and mind, the vagabond is ready to begin a new journey. Music was the only way for Vaughan Williams to grapple with the meaning of spirituality, and music became the way for him to express a faith that he seems to have held though never articulated. Because music offers us a window to the transcendent, much as an Eastern icon does, Vaughan Williams was able to move beyond a purely materialistic understanding of the world to see “the heaven above” as something much greater than what we could ever perceive with our senses. Through his Songs of Travel in particular, the themes of the journey and the beautiful shed light on Vaughan Williams’s personal spiritual transformation not into a believing Christian, but into a person who encountered the transcendent through beauty and who was transformed as a result. Rob Ainsley, “Cover CD: Ralph Vaughan Williams (1872-1958), Symphony No. 5, Mass in G minor,” in BBC Music16.11 (2008), 41. Cf. Byron Adams, “Scripture, Church, and Culture: Biblical Texts in the Works of Ralph Vaughan Williams,” in Vaughan Williams Studies, ed. by Alain Frogley (New York: Cambridge University Press, 1996), 99-117. Ursula Vaughan Williams, R.V.W. : A Biography of Ralph Vaughan Williams (New York: Oxford University Press, 1964), 13. Ursula Vaughan Williams, R.V.W., 29. There is no anecdotal evidence of Vaughan Williams’s religious views during his studies at the Royal College of Music from 1895-1898. Michael Kennedy, The Works of Ralph Vaughan Williams (New York: Oxford University Press, 1964), 42. Cf. Adams, “Scripture, Church, and Culture,” 103. Ursula Vaughan Williams, R.V.W., 36-37. Letter 21, in Hugh Cobbe, Letters of Ralph Vaughan Williams 1895-1958 (New York: Oxford University Press, 2010), 34. Vaughan Williams received his doctorate in music from Cambridge in 1901. For more on Gustav Holst, see Michael Short, Gustav Holst: The Man and His Music (New York: Oxford University Press, 1990). Ursula Vaughan Williams, R.V.W., 72. Vaughan Williams, “A Musical Autobiography,” in National Music, 190. Adams, “Scripture, Church, and Culture,” 106. Ursula Vaughan Williams, R.V.W., 122. Composer George Sainton Kaye Butterworth met Ralph Vaughan Williams while they were students at Oxford. For a few years, both men concentrated more or less full time on collecting folk songs and, at the outbreak of World War I, joined the English forces. Butterworth was killed by a sniper’s bullet during the Battle of the Somme. Letter 393, in Cobbe, Letters, 347-48. Letter 701, in Cobbe, Letters, 598. Ralph Vaughan Williams, The Making of Music (Westport: Greenwood Press Reprint, 1976), 3. Cf. Vaughan Williams, National Music, 206. Vaughan Williams, The Making of Music, 29. Cf. Vaughan Williams, National Music, 223. Vaughan Williams, “Bach and Schumann,” in David Manning, ed., Vaughan Williams on Music (New York: Oxford University Press, 2008), 132. See Michael Kennedy, “The Unknown Vaughan Williams,” in Royal Musical Association Proceedings 99: 31-41 and Hugh Ottaway, “Ralph Vaughan Williams,” Grove Music Online, ed. L. Macy, 6-8 and 54. See Rufus Hallmark, “Robert Louis Stevenson, Ralph Vaughan Williams and Their Songs of Travel,” in Byron Adams and Robin Wells, Vaughan Williams Essays (Aldershot: Ashgate, 2003), 129-56. Vaughan Williams’s friend and colleague Gustav Holst also composed music that is often called “mystical.” Vaughan Williams was careful to defend this aspect of his friend’s compositions, saying that his style was always very clear and never muddy, despite the sometimes negative connotations of calling music “mystical.” “Introductory Talk to Holst Memorial Concert,” in Vaughan Williams on Music, 300. Vaughan Williams, The Making of Music, 53. Cf. Vaughan Williams, National Music, 237. Vaughan Williams, The Making of Music, 54. Cf. Vaughan Williams, National Music, 238.